The Academia @ South City Plaza is a leasehold serviced apartment located at Seri Kembangan, Selangor. 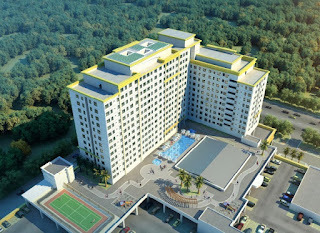 The Academia consists of 2 blocks - 16 & 17 storey with a total of 416 serviced apartment units. The built-up size ranging from 566 sq.ft. to 1,258 sq.ft. Facilities at The Academia include swimming pool and gymnasium. Built-up Area : 566 sq.ft. - 1,258 sq.ft.